GMA-7 news anchor Rhea Santos has been selected as one of Women's Journal's Outstanding Women of the Year 2017. 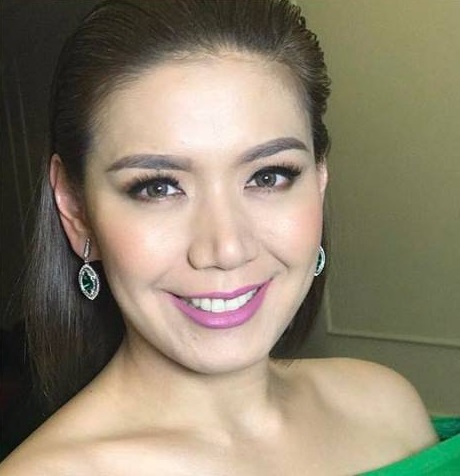 The 37-year-old Kapuso veteran, who anchors Unang Hirit and hosts the public affairs show Tunay Na Buhay, has been recognized for her contribution to society and the nation through her work on television and on organizations such as the Haribon Foundation and Habitat for Humanity, where she served as an ambassador. Santos, now a mother of two, also served as a book readership promoter for the National Book Development Board's "Get Caught Reading" campaign. "Met amazing women tonight❤️ Thanks Women's Journal for recognizing my work❤️," Santos posted on her social media pages. "I hope to educate myself more, work harder and be a better person. #womenoftheyear2017." Other prominent names who were also awarded by the long-running lifestyle publication were Miss Universe 2015 Pia Wurtzbach, CNN Philippines host Margarita Forés, and Senator Risa Hontiveros.